For those looking to buy the best available dash camera, the sheer number of options can seem overwhelming. As you begin your research a number of questions come up: How much memory is enough? Should I go with a unit with GPS capability or not? How many pixels are needed for a crisp, clear picture? Thankfully, we’ve done all the hard work for you and compiled a list of available Dash Cameras that are great, with different features as well as some Dash Camera Reviews for you to compare the different types. There is also an easy buying guide that allows you to examine the pros and cons of each product. Below is our list of the top 13 dash cams on the market. Our goal is provide you with all the necessary information you need so that as a consumer, you can feel confident in your next purchase. Whatever camera you end up choosing, know your decision is a wise one, one that protects you and your vehicle from unforeseen disasters. What Kind of SD Card Should I Buy for My Dash Cam? 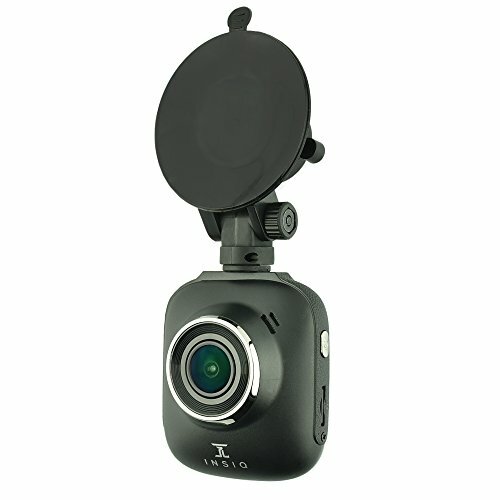 How Much Should I Spend on a Dash Cam? What is a G-Shock Sensor on a Dash Cam? Where Should I Position the Dash Cam? In terms of its appearance, the BlackSys CH-100 is one of the most unique. Streamlined and low profile, the CH-100B has no display screen. 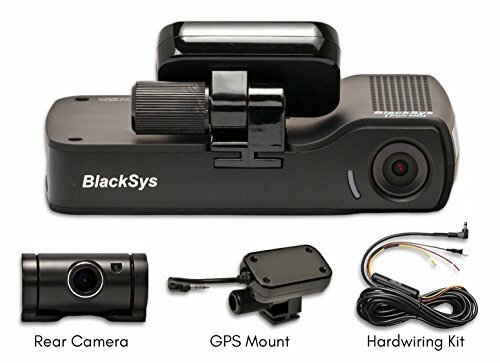 This discreet design makes it harder to spot within the car, but also means you will need to download the BlackSys app on Android or IOS in order to set the camera up. But the app is well worth it: the unique Wi-Fi capability allows you to connect directly to your smartphone to watch video in real time. It also allows you to playback footage and send on videos with ease. In terms of picture quality, the BlackSys CH-100B captures crisp, clear footage though the colors are a little muted, as compared to the vibrant colors of the Vantrue N2 below. But the advantage here is that the camera comes with a free 16 GB SD card and an adapter which is rare, as these are typically sold separately. This saves you the headache of buying an SD card or finding one that is compatible with your model. And if 16 GB isn’t enough storage, the Blacksys CH-100B can accommodate other cards, up to a whopping 128 GB. Another nice feature is that it comes with the full hardwiring kit in case you are looking to hardwire the camera directly to your vehicle. Note, however, that the cable provided is only 6.5 feet long and may not be long enough for rear fuse box applications. It should be mentioned that some versions do not come with GPS mapping add-on. So if that’s something important to you, you may want to look elsewhere. Overall, the Blacksys CH-100B is one of the more expensive of the options here, so the debate is still out on whether the extra money is worth it. But it is certainly one of the most attractive looking cameras on the market. The INSIQ AW5 is touted as having the sharpest, clearest picture in the industry and they might be right. At 1296P you’ll always get a sharp, clear picture and a favorable 21:9 aspect ratio. And with a 150-degree wide-angle recording, the INSIQ AW5 captures even more picture than the BlackSys listed above. Furthermore, the INSIQ AW5 comes with a free 32 GB SD card, double the storage of the BlackSys card. The only drawback is that the INSIQ AW5 does not come with hardwiring cables nor does it have Wi-Fi capability nor does it have GPS, should you need any or all of these features. In terms of its appearance, the INSIQ AW5 is a small dash camera and relatively discreet at just over 10 ounces. It does however affix directly to the windshield via a suction cup and so will be visible to drivers coming from the opposite direction. Take note if you are from extremely warm or cold climates as the suction cup may have trouble staying attached. All in all, the INSIQ is less complicated than the competitors. It turns on very quickly with relatively little fuss. On the low end of the market, the price of the INSIQ AW5 is hard to beat, especially considering it comes backed by a one-year warranty. So, for those looking for a simple alternative with a very high quality picture at low price, the INSIQ AW5 just might be the camera for you. 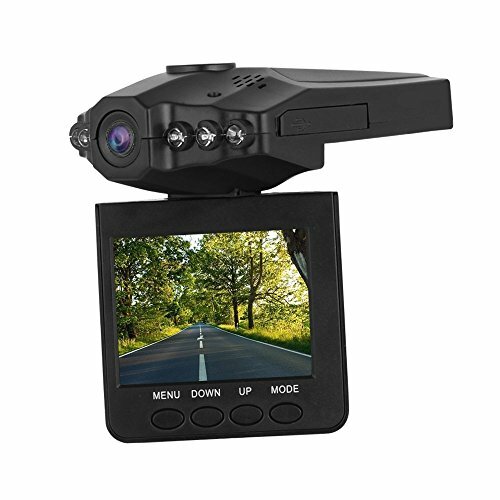 The main draw of this camera is that it comes with both front view and back view cameras, two separate lenses that record activity inside and outside your vehicle at the same time. If you are someone who drives for Uber or Lyft, this feature allows you to record all of your rides which can bring peace of mind both to you and your passengers. Plus if you get rear-ended, the Vantrue N2 has you covered. Unlike the exterior cam that films in 1080P, the interior camera only films in 720P, but for most practical purposes this is more than adequate. 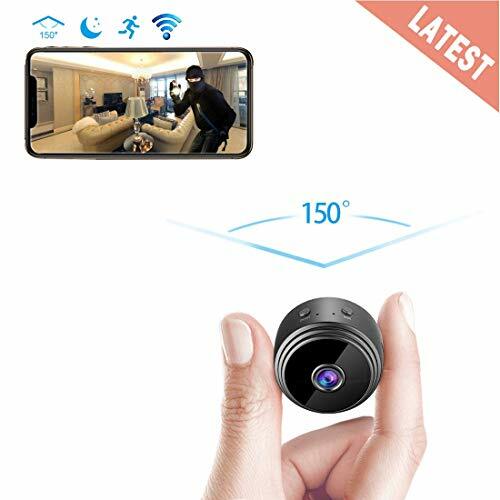 The back camera is also rotatable and adjustable meaning you can position the camera more precisely in order to ensure you get the best angle. Note that if you are recording at night, you will have to turn on an inside light to capture the interior. Menus on this camera are easy to navigate. 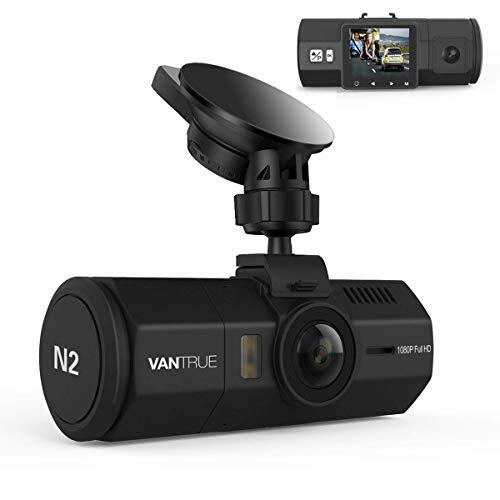 Once set up, the Vantrue N2 turns on automatically and begins recording as soon as the vehicle starts so you never have to worry about forgetting to turn the camera on. Also if it detects motion around your vehicle, like moving cars or someone walking, the Vantrue N2 will automatically turn on ensuring that your car is under surveillance at all times. Although some users have complained that the N2 has lost some video quality from the earlier N1 or R2 model by the same manufacturer, most agree the colors are still vibrant and the autofocus is uniquely intelligent. Furthermore, the front camera films in 170-degrees, the widest lens angle of all four options, giving you the broadest vision of the scene in front of you. If you want GPS mapping, there is an optional GPS module for this camera, but it is a separate purchase and will require you buy a GPS mount. Also note that the Vantrue N2 does not come with a memory card, so you will need to purchase one of these separately. The manufacturer recommends a Samsung Evo 32GB. If you have a 64 GB card this is usable but make sure you format to FAT32 first. The only dual front and back camera of the lot, the Vantrue N2 is a unique device, which gives you two cameras for the price of one. The ToGuard F2 is one of the most economical choices on our list. Simple and straightforward, this easy-to-use device mounts firmly onto your dashboard via a suction cup. The display screen is quite small at 2.46” but this means the ToGuard F2 is inconspicuous (other than the blue coloring) weighing in at a mere 9 ounces. The swivel capability also means the dash cam can be rotated as you see fit into the most efficient position. The menu button, labeled M on the left side of the device, allows you to configure a number of personal settings. Here you can control the video quality (HD or not) and whether or not to record audio. It will also record at night using infrared, though you probably won’t get crystal clear footage at nighttime like with some of the other dash cams on our list. Like most dash cams, the ToGuard F2 turns on automatically and records videos in a loop, rewriting over old files once it reaches full capacity. It requires an SD card and can accept sizes up to 32 GB. Videos are saved directly to the card and are displayed with date and timestamp as well as the length of each video which makes locating your files straightforward. Another nice feature is the built in G-sensor which will lock a video file whenever it detects an extreme movement or collision. Once the G-sensor locks a file, it will not be deleted until the user does so manually. This means that when it comes to proving who was at fault in an accident, the ToGuard F2 has you covered – you don’t have to worry about the video file of the incident going missing accidentally. While the picture is very good quality at full HD 1080P, the audio on the ToGaurd F2 might be a bit disappointing. A number of users have complained of audio static over the video, but for drivers who only need the most basic functionality in a dash cam at the cheapest price, the affordability of the ToGuard F2 can’t be beat. The Lecmal Stealth dash cam is aptly named, as it is one of the most discreet cameras on the market. It is meant to be affixed directly to the windshield with adhesive tape unlike other dash cams which are attached via suction cup which can sometimes lose suction over time or in extreme temperatures. This unique design allows you to place the Lecmal Stealth very high up near the roof of your car, well out of sight, and the dual knobs on the side of the device allow you to adjust the lens without having to change the camera’s position. Also the 3M cords that come with the camera mean that you can hide the cord easily, making the Lecmal Stealth even less noticeable than before. In addition to the stealthy mounting options, the Lecmal Stealth also has one of the highest heat-resistance capabilities of any dash cam on the market. So if you are from especially warm climates this might be the camera for you. The menu settings of the Lecmal Stealth are extensive and allow you to adjust for brightness, color, sound quality, time and date. For a camera on the low end of the price spectrum, the picture quality of the Lecmal Stealth is excellent both for both night and day time recording. It also boasts a 170-degree wide-angle lens for extra wide coverage while you are in the road. Note that the Lecmal Stealth does not come with an SD card, but can accept cards up to 32GB in size. Like the ToGuard F2 above, the G-sensor capability means that any time you accelerate or turn sharply or brake suddenly or sense impact the Lecmal Stealth automates video capture. All in all, this sleek, attractive design makes it one of the most secretive cameras and its full 1080P can achieve much of the same video quality as some of the more expensive cameras out there. Like the Lecmal Stealth, the Rexing S300 mounts onto your windshield directly safely and securely, meaning it won’t block your vision as you drive. The manufacturers recommend affixing it high up on the windshield behind the rear view mirror. But if you prefer to use the suction cup, the Rexing S300 comes with this as well, so you have options and can choose your preference. Venting gills on the camera and a 6-glass lens mean that it won’t overheat or fog up in extreme weather conditions, and the ergonomic design allows you to operate the camera easily with either one of your hands. The Rexing S300 comes with Wide Dynamic Range (WDR) technology that allows for greater evidence collection during your time and the road and results in a more balanced video with less intrusive shadowing effects. The WDR technology guarantees crisp picture and autocorrects for some of the visual distortion that occurs with less expensive cameras. While it is almost double the price of the Lecmal Stealth, the Rexing S300 does come equipped with a 16GB SD card, meaning that you don’t have to worry about buying one and messing with the formatting. The Rexing S300 comes ready to use right out of the box. 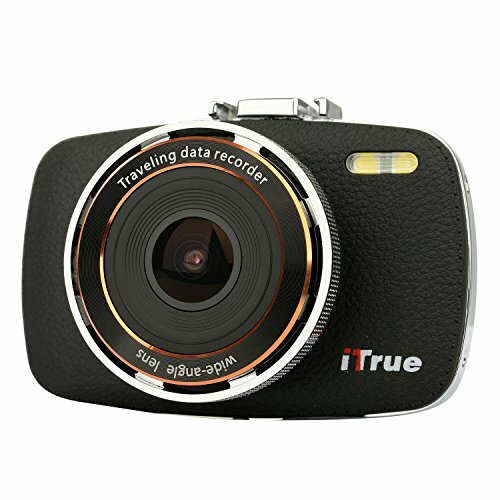 The ITrue X3 has a handsome design whose chrome body and stitched rubber cover makes it a more attractive alternative to some of the more plastic-looking dash cameras on the market. This stitched rubber cover also helps block reflections resulting from glare on the windshield which can cause video distortions. More than just a good-looking device, the ITrue X3 turns on and off automatically. Offering full HD video in 1080P, the footage looks great projected on a bigger screen. The super wide 170-degree angle lens and infrared capability captures nighttime images with ease. The battery of the ITrue X3 may not last as long as other dash cameras and should be connected to external power while in use. It does however come ready to use with an 8GB SD card although you won’t be able to format a 64 GB card with this camera. If you are in a particularly hot or cold climate you might want to think twice about this one as the manufacturer recommends removing the dash cam from the windshield when parking. So if you are looking for a camera with a park mode, you will probably need to look elsewhere. The OldShark’s most noticeable feature is its wide three-inch scratch resistant LCD screen. This makes it easy and seamless to watch live video or video playback even without hooking the camera up to a display screen. The mount for the camera is sturdy and steady resulting in a clear picture with no vibrations. Built-in infrared lights, in combination with external lights, means you get crisp video regardless of whether you are looking to record during the daytime or night. If you are a forgetful person, the OldShark has you covered. Automatic loop recording means you begin to record uninterrupted footage as soon as you turn on the car. When the car stops, the recording stops too, unless the OldShark detects movement outside the vehicle. Recording resumes as soon as the vehicle begins to move again. The Old Shark does include a 32 GB micro SD card and the menu options will allow users to customize how you see your video and in what quality. You can set the clip length to 3, 5, or 10 minutes according to your preferences. When full, the OldShark will write over the oldest clips first. Two other unique features of the OldShark include the exclusive Novatek NT96650 chipset which both conserves battery as well as compresses videos automatically to save size. Even with compression, the picture quality is still full HD and this allows you to zoom in in order to focus on details that could be important like, for example, a license plate or a person’s face. The protective aluminum shell of the OldShark means that whether the surface of the camera is hot or cold, the functionality of the device remains unaffected. The Lecmal 2.5 inch is the most economical choice on our list. Of the many dash cameras on the market, this one is perhaps the most basic, with only has the most basic functionality. It is perfect for those on a budget who do not necessarily need the sharpest image quality nor the widest-angle lens. Unlike the OldShark listed above which boasts 170-degree wide-angle lens, the Lecmal 2.5 inch captures only 120 degrees. But at such a low price point, this may not prove to be such a problem. 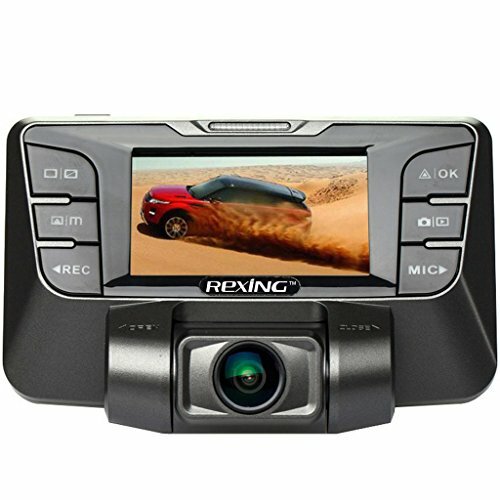 The 2.5-inch LCD display screen can be flipped down so you can watch your recordings real-time, or the screen can be tucked back into the camera to make it less visible to other drivers. It can also be placed so that it records activity in the rear of the vehicle instead of outside on the road which is handy if you are looking to capture passenger activity or potential rear-enders. There is a built in microphone which can record sound inside and outside the vehicle although it may not be of high quality and picks up quite a bit of video interference. Note: the Lecmal 2.5 inch does not come with an SD card so you will need to purchase one but even this additional cost still makes the Lecmal 2.5 inch a very cheap option. A number of users have complained that the camera has stopped working altogether, but at such a low price point, the adage remains true of the Lecmal 2.5 inch: you really do get what you pay for! 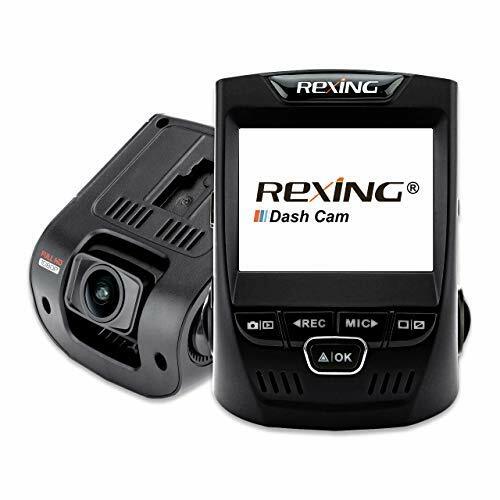 The wedge shape of the Rexing V1 offers an alternative design to the classic lens and body model of most dash cams. This Rexing V1 is super-discreet and can be almost entirely hidden behind the rearview mirror. The mount attaches to the windshield with an adhesive tape and then the camera snaps into the mount securely. The plastic is thick and of a very good quality even though it remains lightweight at just over 11 ounces. Resolution is very high quality and videos users have uploaded confirm this. The picture is clear and crisp with no distortion and the extra wide-angle lens means that nothing is lost on the Rexing V1. It also comes with a one-year limited warranty should anything stop working properly. With the motion detector feature turned on, the Rexing V1 will begin recording when it detects movement outside the vehicle but the battery can only last for 20-30 minutes when it is not connected to the car. One of the best cameras on the market for the mid-range price. The TaoTronics is a one hundred percent automated dash cam that offers a non-distortion lens of 150 degrees, not as wide as some of the other dash cams listed here but the true HD quality of the picture means that the images that you do capture are detailed and never awkwardly curved. The LCD screen is on the larger end at 2.7 inches and the touch display feature operates well with large buttons, allow you to customize the image you record even down to the white balance! You can also use the TaoTronics to capture static images just as a regular camera would. Another nice bonus is that with the TaoTronics dash cam you receive a free 32 GB Scandisk SD card, meaning the camera comes ready to use, straight out of the box. The set up is easy and painless and contains a vast amount of features that you can fine-tune to your exact liking. The microphone can be muted or unmuted easily while driving with the touch of a button. 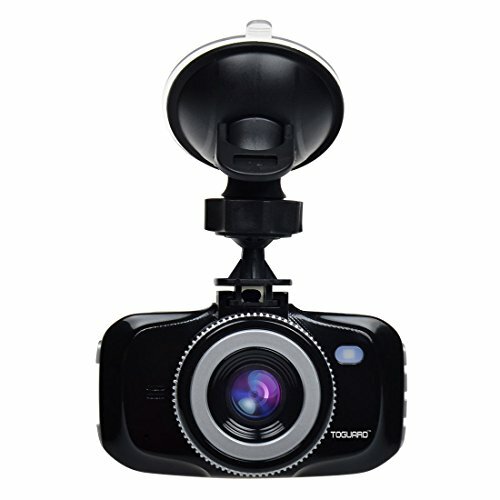 The only apparent downside of the TaoTronics is that unlike other dash cams it does not provide any lighting of its own meaning that even though it does offer night vision capability, if you want to record the interior of the car while dark, you won’t get much of a picture unless you turn the lights on inside the car. The Corprit is a compact style dash cam with an extra large aperture whose body looks almost identical to the ToGuard F2 mentioned previously. The Coprit can record in either 720P or 1080P depending on the quality of the image you desire. Choose 720P to hold more footage with less quality or 1080P if you require more detailed images or want upload HD video to the Internet. As long as the camera is plugged into the cigarette lighter, it will continue to record images until the SD card is full. This dash cam can support up SD cards of up to 64GB which is more than enough space for the average user – approximately eight hours at full resolution. The Corprit mounts to the vehicle using a strong suction device and turns on and off in sync with the vehicle. The camera can function in a number of different languages which you can select in the initial set up. For being relatively cheap, the Corprit is surprisingly effective and superior to other dash cams at the same price point. The KDLINKS X1 is a very light camera with an extremely clear picture quality, day or night. This camera can also record sound within the vehicle, a feature you can turn off should you choose to. Perhaps the best feature of the KDLINKs X1 is the video player software which displays your route in GPS street mapping with Google Maps. The GPS mapping feature lists max speed, average speed, and total distance traveled. If your friend takes the car out you have a record as to where it was driven and how fast. This speed feature is also great because if you were to get pulled over in a traffic stop, you now have a record of how fast you were traveling. With a 165-degree lens the KDLINKS X1 has a super-wide fish eye angle, which gives you a perfect spread of the road and beyond, so you can see oncoming traffic with ease. The camera also comes equipped with a 4X zoom in case you need to view license plates of cars you pull up behind or streets you pass by. Another bonus is that the KDLINKS X1 also comes with an 8 GB SD card ready to use out the box but the camera can accept cards up to 32 GB in case yours fills up. Once the SD card does fill up the KDLINKS X1 begins to automatically rewrite footage so you never have to worry about it running out of usable space. With a one-year warranty to cover any and all issues, the KDLINKS X1 gives you all the features of the BlackSys CH-100B plus GPS capability for about half the price. Millions of drivers have invested in dash cams in recent years for a variety of reasons. As dash cam technology improves, so do the benefits of owning one. For instance, in case of an accident or collision, a dash cam provides the owner with incontrovertible evidence of who was at fault. In legal proceedings or when insurance is involved, this is particularly important. Having a video record of what happened can save you both time and money during what will amount to a highly stressful situation. But with this dash cam footage on your side, you never have to worry about insurance making you pay for an accident that was not your fault. Considering how guilty drivers often try to shift the blame, dash cams can be reviewed by police and legal authorities in order to determine how to assess criminal blame. During incidents of road rage or vandalism, they show the full extent of the episode in question from start to finish. Because every dash cam lists both the time and date of the accident there will be no question as to what happened and when. With insurance fraud on the rise, having a dash cam can protect you from scammers looking to make a quick buck. This has been a huge problem in places like Russia. Drivers with high-end vehicles can be particularly susceptible to this and may become victims of extortion without video evidence to corroborate their story. Fraudsters will often complain of neck injuries and serious medical problems at even the slightest of accidents, but owning a dash cam can keep you safe from these schemes. The zoom feature and the high quality HD footage means that your dash cam videos can be used to show license plates and facial features and other significant details of the incident, even when displayed on large screens in a courtroom without losing any of the definition. 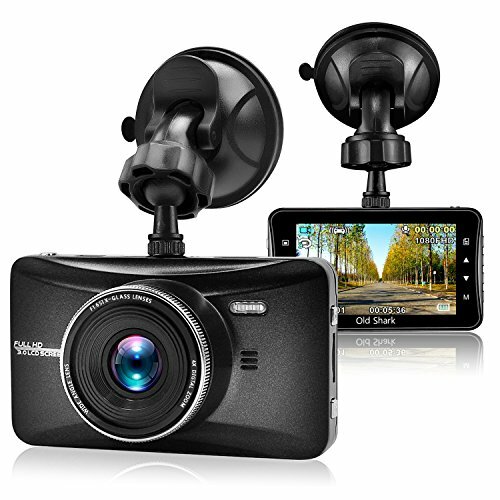 The GPS feature of some of the dash cams on the market also comes in handy when you are lending your car to friends, relatives, or even your children. The GPS function shows you where and when the car was driven and even how fast, so if you are wanting to make sure your car is in good hands, this is a great way to do so. It also gives you a record of where you went and when and this kind of proof can come in handy when needing to prove your location or remember a route you took somewhere. If you’ve got a teenager just beginning to drive, the dash camera could be a great way to review his or her driving in order to ensure that they are driving with care. This could prevent accidents in the near future and ensure the safety of your loved ones. Furthermore, insurance is often highest for drivers under the age of twenty-five. If you want to keep rates your insurance low and keep your kids safe, a dash camera is a great idea. You can set up times with your kids to review footage and offer pointers as to how to drive even more carefully. In fact, taxi drivers and driving schools have begun to use dash cameras to record footage inside the vehicle. Often these cameras can be positioned to the rear as opposed to front facing to the road. This can allow you to record the foolish actions of unsafe drivers behind you if someone rear-ends you or if you are forced into driving around belligerent passengers who are behaving badly. Beyond all these legal reasons, dash cams also allow you to make fun videos for the Internet. They can record your cross-country road trip or capture a beautiful sunset over the changing landscape under a hail of meteor showers. Simply type in “dash cam video” into YouTube and you will come across countless hours of footage from users all over the world. From near accidents to capturing road rage incidents to your driving technique, dash cameras can be used to capture the good and bad of your life as it unfolds on the open road. All dash cams essentially work in the same way. Most take their power from cigarette lighters and run on 12V DC unless they are hardwired directly to the car. The reason for this is that on their own, dash cam batteries are relatively weak, lasting only around 20-30 minutes, although these batteries can be recharged when the juice runs low. By having the power source of the camera be connected directly the car itself, the benefit of this is that each time you start your vehicle the dash cam turns on automatically and begins recording footage. The great benefit of this “always on” feature is that if you are in a rush or tend to be a forgetful person, you never have to worry about forgetting to turn your dash camera on or off. It also makes them safer in a sense, as no one wants to have to try and fiddle with the record button as they are inside a moving vehicle. Automatic recording means that the dash camera always has you covered, day and night, providing you with total coverage of all that happens inside and outside the vehicle. As the dash camera records it writes footage to an SD card in a continuous loop. This means that you never have to worry about deleting footage as the dash camera will write over the oldest files first. Dash cameras on the whole are meant to function without the input from the user so that they do the job without infringing on the driver’s concentration. No one wants to have to think about ejecting SD cards and inserting new ones while driving. Most dash cameras accept SD cards of 32 GB with some dash cameras even accepting SD cards up to 64 GB. Anything larger than will be incompatible with the dash cameras on our list, and on the whole, will probably be unnecessary. Remember: a 64 GB SD card can hold around 8 hours of footage at full HD resolution or even longer if you decide to change the settings to a lower resolution. In the end, it all depends on what you desire – if you want more footage that is less clear, opt for a 720P resolution. If you want higher resolution that takes up more space opt for 1080P. You can indicate these changes on the menu function often located on the side of the camera which can be selected during set up and changed whenever you see fit. Some dash cameras come with SD cards included in the box, ready to use immediately, whereas for other dash cameras you will have to purchase an SD card. 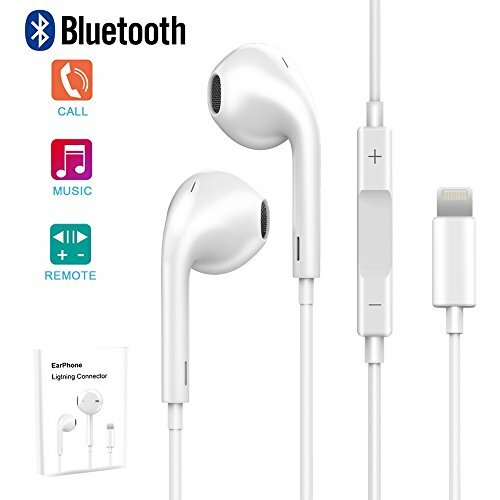 These are relatively cheap these days and a typical 32 GB SD card will run you anywhere from $10 to $15. At this price, many users buy two just in case something happens to the other one. Make sure that you follow the instructions in the user manual which will explain in detail how to format the card so that it becomes compatible with your dash camera. This can be something of a complicated subject so it’s always best to look carefully into the intricacies of dash cam legality wherever you live. Dash cams are totally legal in some countries (and even encouraged!) In the United Kingdom for example, insurance companies are even offering customers with dash cams a ten to fifteen percent discount. In Russia dash cams have been used to fight insurance fraud and police brutality. But in other countries dash cams are totally illegal. To make matters more complicated, in other jurisdictions, dash cameras exist inside something of a legal grey area. In Austria they are completely banned and Switzerland discourages their use. Germany forbids users of dash cams to post videos of their driving to the Internet. Wherever you live, make sure you do your due diligence so that you can feel at ease with the camera recording inside your car. Privacy matters can be another concern entirely. As taxi drivers have started to use them to record passenger activity in their vehicles, this sort of recording can begin to get a little tricky. It may be true that you need the expressed written consent of passengers to record within the car, especially if audio is concerned. This of course, depends on your budget and also the number of features you require as well as the quality of the footage you want to record. As the number of dash cams on the market grows, prices have dropped due to increased competition. Now you can buy a dash camera for as cheap as you would spend on a decent bottle of wine. But at the same time, with modern advances and new high tech features like GPS can be added to the dash camera, you will find expensive high-end alternatives that can cost you quite a pretty penny. The truth is that with a dash camera, as with any piece of electronic equipment, generally speaking, you get what you pay for. Do your research and read reviews. Cheaper alternatives often have poor track records of breaking within the first year and may not perform well in extreme climates. Often the cheapest dash cameras do not come with any kind of warranty – you should ask yourself why. The high-end alternatives on the other hand can usually work in extreme temperatures and offer limited warranties and strong customer support. Keep in mind, however, that while the more expensive versions may be less likely to break, often the footage is exactly the same as some of the cheaper versions. Savvy buyers would be likely to position themselves somewhere in the middle of the road in terms of price in order to get the best of both worlds – high quality footage at an affordable price. A large number of dash cameras on the market now come with G-Shock technology. This means that whenever the dash camera detects sudden movement the camera will automatically lock that video file so that there is no chance it will get written over during the looped recording. So if your car goes into a skid or brakes heavily or gets hit with anything at all, the dash camera will make sure that footage remains with you until you choose to delete it manually. The G-Shock sensor measures the movement to your vehicle over three axes – up and down, left and right, and forward and backwards. The benefit of this is that what could be the most significant footage you record is kept safe within the camera. The downside of this is that the G-Shock sensor can be triggered by relatively harmless jolts to the car like going over potholes or speed bumps or a soccer ball. The G-Shock sensor feature operates on the maxim “better safe than sorry”. Dash cams are usually rotatable and adjustable. Whether they are held in place by suction cups or adhesive tape, dash cams can be affixed to vehicles so that they face the front or rear of the car. Some of the more expensive dash cams actually have dual cameras, facing both the front and back of the vehicle, so whether an incident occurs in front of you or behind you, the dash camera snaps a full record of what happened. If you are a taxi driver or driving instructor looking to record the interior of your vehicle, turn your dash cam to face the back. This way you will also capture any rear-end accidents and any activity inside the vehicle. Face the camera forward and you will get a nice wide spread of the open road through your windshield. Make sure your windshield is always clean and free of debris in order to ensure that the footage is as clear and crisp as possible. Most dash cams on the market boast about their stealthy design, meaning they are less likely to be seen by other drivers. And with designs becoming more attractive, your dash cam won’t detract from the aesthetics of your car’s interior. Cables can be hidden easily along the frame of the interior and the dash cams can be placed so high up on the roof or low on the dash or behind the rear view mirror that it won’t get in your way or distract you while you are driving. All in all buying a dash camera can be something of a difficult task considering the number of options available. Here we have provided you with a comprehensive evaluation of your options so you can weigh the various models and weigh the pros and cons of each. Consider each model against the next, compare price points – don’t just go with the first dash cam you come across. Instead, look for the right balance between cost and features, size and weight, design and technology. With the number of options available it should not be difficult to find one that matches your exact needs. Regardless of what you use it for, from safety to recording driving memories, you’ll be happy you bought a dash camera. The peace of mind it affords in protecting your own financial security is one of the smartest buys you can make. And as dash cams become more and more automated, they require less and less of the user’s input. With a device that turns on automatically, writes over old files for you, and locks files whenever it detects a bump to the vehicle, all it requires is a one-time installation and you’ll be ready to go. At the end of the day, it’s clear that the benefits of owning a dash cam far outweigh the costs. With so much at stake and so little effort involved, the choice is clear. If for whatever reasons, you are considering purchasing a dash cam in the near future, you and your family will thank you. And so will your wallet.